Donald J. Pittenger, 59, of 239 Nazareth Drive, Moore Township, died Wednesday, April 1 (1998), in Muhlenberg Hospital Center. He was an employee of Penn-Dixie Cement Co. in Nazareth before retiring in 1985. Born June 29, 1938, in Easton, he was a son of the late Carl and Ann Gooley Pittenger Sr. He served in the peacetime Army. He and his wife, the former, Pauline Harhart, were married 24 years last May. 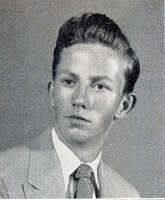 In addition to his wife he is survived by a son, Donald Jr. in Texas; a daughter, Kim Hendricks of Easton; two stepdaughters, Stephanie Reager of Auburn, Pa., and Marla Parker of Sheppton, Pa.; five sisters, Ethel Easterly of Forks Township, Doris Seip of Wilson Borough, Jane Hefler of Bloomingdale, Ill., and Shirley Buck and Brenda Rustay, both of Easton; three grandchildren and six step-grandchilren. Three brothers, Carl Jr., Richard and Charles, died eariler. Services will be held at 11 a.m. Friday in Reichel Funeral Home, 220 Washington Park, Nazareth. Call 10 a.m. Friday to time of services in the funeral home. Burial will be in Cedar Hill Memorial Park in Allentown.